الخيار الأفضل للحصول على المتعة والاسترخاء، فندق سيتي إدج بريسبين يقع في منطقة رائجة من أفضل مناطق المدينة. يحظى هذا الفندق ذو 4 نجمات بمكان ممتاز يسمح بالوصول إلى المعالم السياحية الأكبر في المدينة، فهو يبعد مسافة 0 Km عن صخب المدينة. سوف يعشق النزلاء موقع هذا الفندق، فهو قريب من أهم المعالم السياحية في المدينة . إن الخدمات الممتازة وحسن الضيافة العالي في فندق سيتي إدج بريسبين تجعل إقامتك تجربة لا تنسى. هذه بعض الخدمات الموجودة في هذا الفندق: خدمة غسيل ذاتية, خدمة حجز التذاكر, خدمة سيارات الأجرة, مرافق مخصصة لذوي الاحتياجات الخاصة, تسجيل وصول/خروج سريع. في الفندق غرف نوم يتجاوز عددها 58، كلها مجهزة بعناية وجمال وبعضها مزود بـ تلفزيون بشاشة مسطحة, مناشف, غرف لغير المدخنين, مكيف هواء, تدفئة. كما أن مجموعة الخدمات الواسعة الموجودة في الفندق لضمان راحتك تترك لك الكثير من الخيارات لقضاء وقتك أثناء فترة إقامتك. إن فندق سيتي إدج بريسبين هو خيار ذكي بالنسبة للمسافرين، فهو يوفر إقامة هادئة ومناسبة للاسترخاء. The property requires a refundable security deposit of AUD 100 upon check-in. The staff were exceptional in their help and standards of customer care. Especially when I left my passport etc in the taxi. They facilitated the return of my docs with the help of the excellent taxi driver who dropped me at the hotel. The staff at the city edge could not have done more to help, they were friendly and pleasant at all times. Small budget room, exactly what it says on the tin, fine for what we needed. The housekeeping was an issue for us. If you want a lie in, don’t expect your room to be cleaned! They knocked on the door at 9.10am and when asked for half an hour for us to just shower and get ready to go out, we were told “no”. The one day that we went out early for them, they only made the bed. No other cleaning at all had been done. Good location and good price for 4 nights but cleaning could be improved as the bathroom was dirty when we checked in and wasn’t attended to during our entire stay! This hotel had promise...location and staff are excellent. Room, tiny. (Think broom closet), with wet carpet smell, no window to talk of ( thing was just on other side of small window), queen size bed mattress comfortable, only had 1 flat pillow per person. Shower tiny, good water pressure...shame about the rust falling of the soap dish onto your feet! Air conditioning freezing cold and loud. Hotel good for one night stays....but I would hate to stay longer. great for solo traveler and cheap accomodation in the area. almost centrally located and walking distance to main attractions and transportation. the place was clean there is fridge and strong A/C on those hot summer months. staf are really nice and accomodating. 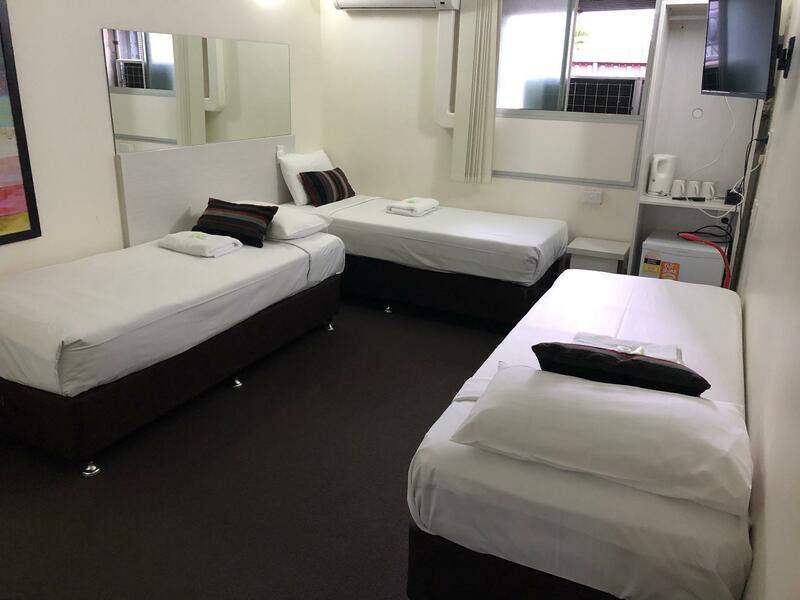 Although the room and bathroom were a bit small and cramped, I really felt the central location, friendly efficient staff and room facilities made this a really good budget hotel. I'll be going back next time I'm in Brisbane. The staff went out of their way to help me. In fact, it was above and beyond what they needed to do. I can't thank them enough. I loved the small room. It was cosy, clean and quiet with free wifi. It also had a microwave. Perfect location. I loved staying at city edge and I know you will too! 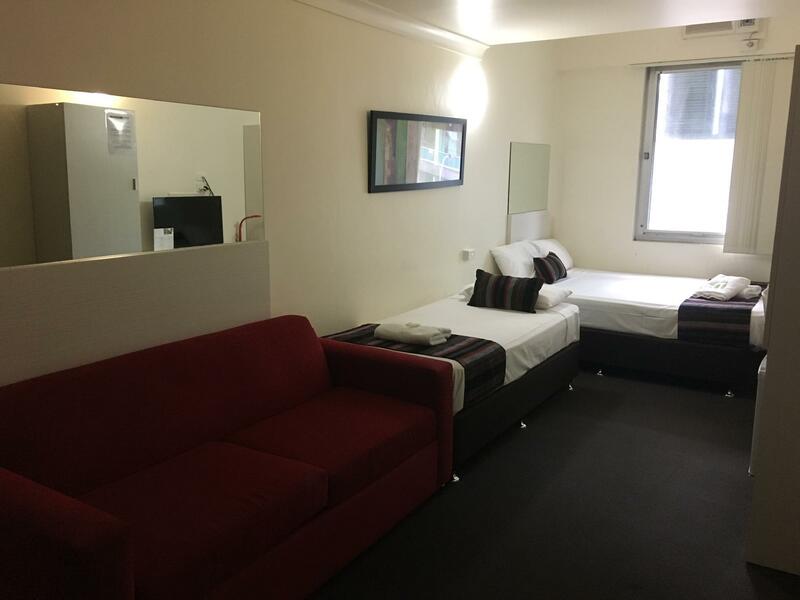 Very basic hotel but is located in the heart of the city which is what I was looking for. 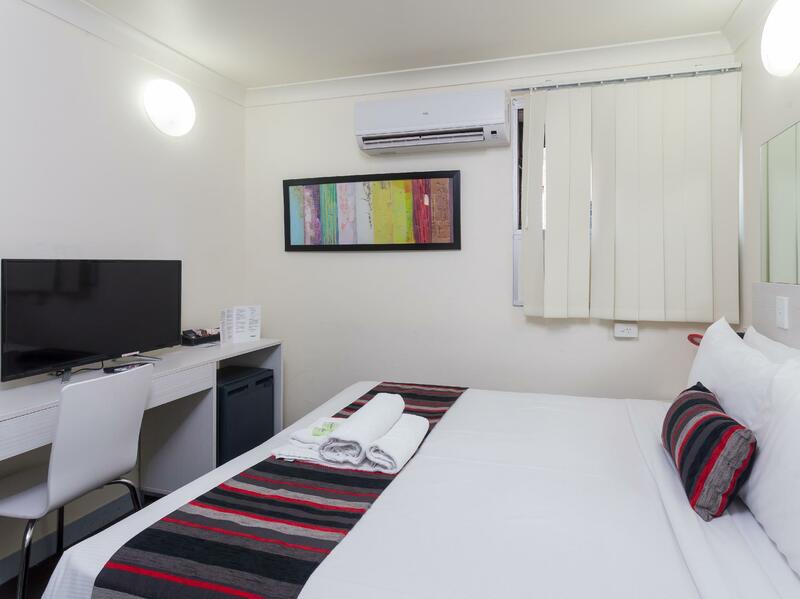 5mins walking distance to the train station which connects Gold Coast and Brisbane, and can take you to the airport conveniently. Also, the shopping mall just on the next block. The hotel itself is very basic. Don't expect too much. The room is small and the bathroom is even smaller. It is good enough if you just use it for sleeping though. Great price for staying in the city area. Very good customer service. 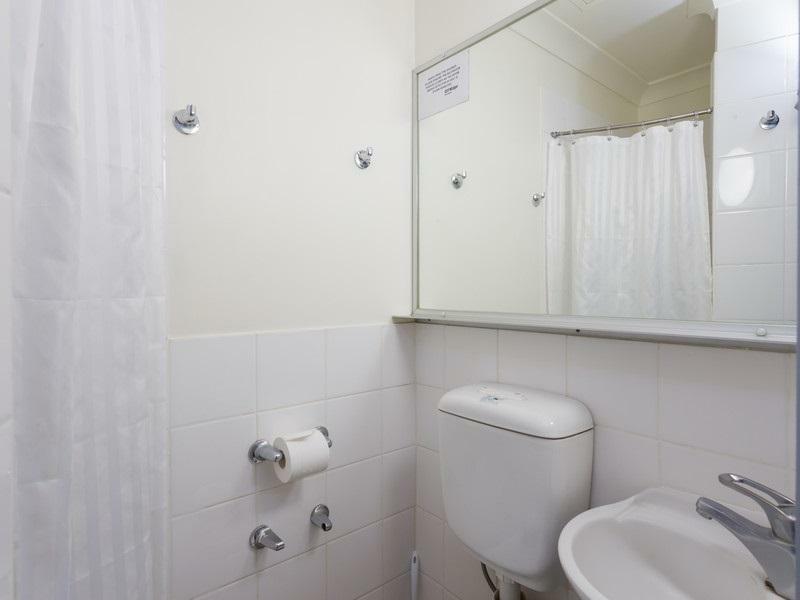 Great location for visitors, but the mouldy smell in the room, leaking aircon, and the water dripping at family member when he was sleeping. Did make us feel bad about the stay. Location is good because of the walking distance from the central area but could be a bit dodgy at night as there could be drunk or homeless people lingering around the area. room and toilet was a bit small for four person but overall it was pretty decent for the price paid. Super helpful and kind staff who offered to print stuff for us and even gave us a call to remind us the closing time of the reception counter. I stayed in this hotel a number of times already. The staff was helpful and accommodating, they are kind actually. I only got disappointed when I checked in for one night and need to arrive late from my Sydney trip, I have a long exchange of communication with the staff regarding the keycards as I don't have a local mobile, but seems alright because he made actions so that I can enter even without the reception. Another issue when I enter the room, it has a very strong odor, mold smell. so I was not able to sleep that night. Small but adequate rooms. Great value breakfast downstairs. Staff are way beyond bigger hotels service. Great communicators. Usual budget room problems but you are still saving alot o money and still in thick of it in cbd. 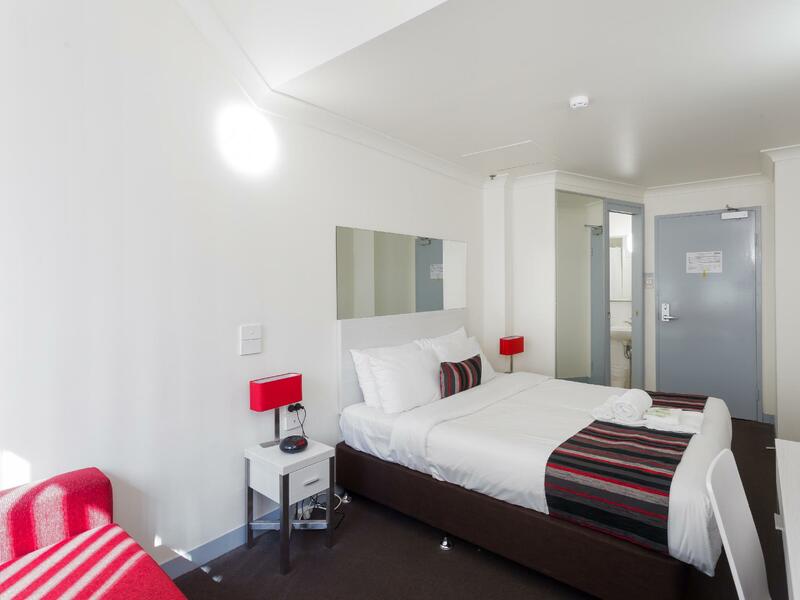 This hotel offers the cheapest deal ever - which is good for anyone traveling on a budget or a couple seeking a place close to the City. The room however, is too old and smelly (of cigarettes and odours). Airconditioner needs to be maintained as well. Staff were super friendly and accommodating, replied to my messages and were very helpful. Room is small but fine for a nights stay. Loved where it is located so easy to walk everywhere! 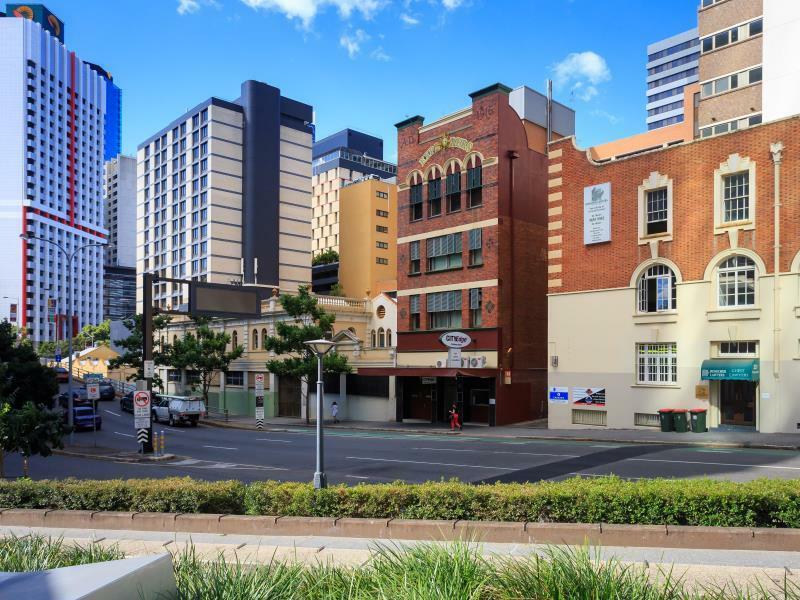 Close to CBD, Roma st transit centre and suncorp stadium! Only thing negative i could say is Shower could use some bleach and a new shower head.